Emergency crews load a female victim onto a rescue helicopter. LEESBURG — Three people were injured and hospitalized early Monday evening, March 19 when the vehicle they were riding in severed a utility pole and ended up on its top. According to police, two men and a woman were traveling near Leesburg on CR 700N when the gray Ford Taurus entered the curve where CR 700N meets North Harper Road, severed a utility pole and rolled over. Emergency crews were dispatched at about 6:52 p.m. and were told there was fuel leaking from the vehicle. Two of the occupants had to be extricated and helicopter medical evacuation was requested. 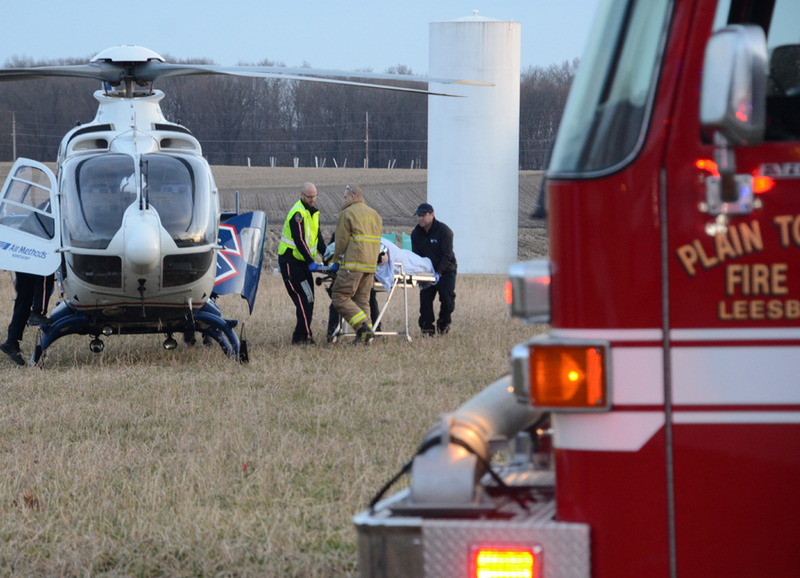 According to the police, The woman was transported to Fort Wayne Lutheran, along with one of the men who was transported by ambulance to the same hospital while the third occupant was transported by ambulance to Kosciusko Community Hospital. Plain Township Fire Department crews, along with personnel from the Kosciusko County Sheriff’s Department were on the scene. 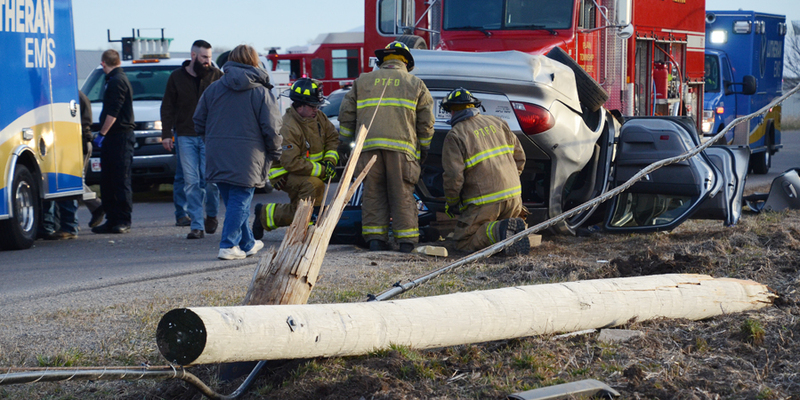 Crews from NIPSCO were called to handle the downed power line from the accident. The rescue helicopter arrived at approximately 7:30 p.m. and the female victim was loaded onto the aircraft several minutes later. Crews work to extricated a victim from the overturned vehicle. 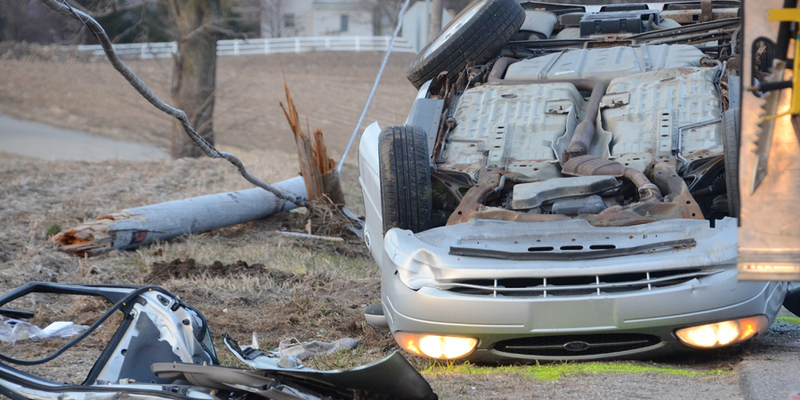 The vehicle severed a utility pole before coming to rest on its top.